Colin was the eldest son of Frank and Lydia Treloar and was born in Adelaide in 1920. He spent his childhood in the Mid North town of Olary and the family's pastoral property, Baratta Station - south east of the Flinders Ranges. During this time Colin and his sister Eunice were educated by correspondence lessons. Later he attended Scotch College in Adelaide where he excelled in sporting and academic activities. His father Frank was in the 3rd Light Horse and fought in Gallipoli and the Middle East - he was awarded the Military Cross in 1918 and he was an inspiration to Colin. On the 11th November 1940 Colin enlisted in the RAAF. 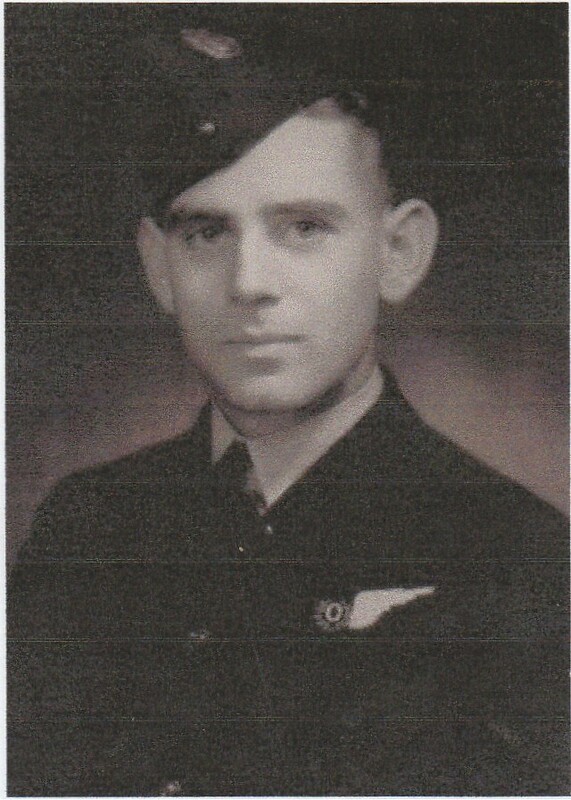 He became engaged to Ms Mina Macadam during his final leave at Baratta in August 1941.
ln September 1941 Colin departed - from Sydney to Singapore and was posted to RAF Squadron 205. ln his last letter home in December he wrote that a "state of emergency" had been declared in Singapore. At that time the Japanese Government had not declared war and their intentions were still unknown. This was 72 hours before the attack on Pearl Harbour. On 6th December, 1941 Colin was sent out on a reconnaissance patrol in the South China Sea. The Crew of the Catalina flying boat sighted the Japanese fleet in the Gulf of Siam similar to the fleet on its way to Pearl Harbour. However the fleet spotted by Colin's crew was heading to Malaysia with a far greater attack force. The Japanese were hoping to destroy the American Navy in Pearl Harbour and the British in "Fortress" Singapore. Colin's crew spotted the Japanese fleet and came under immediate attack by a "Jake" float-plane. They were fired on by the "Jake" with a long burst to their hull. The Catalina then veered off sharply and turned away. The Jake followed the Catalina for some thirty minutes awaiting another opportunity to attack. Then a patrol of five Ki-27 Japanese fighter planes attacked with the result that the Catalina exploded. There were no survivors. This was the first act of war by the Japanese and Colin was the first Australian and his fellow crew members were the first British victims of the war in the Pacific. Colin's parents Frank and Lydia and sisters Eunice, then 19 and Nancy 11, held out hope that he was still alive and may have been taken as a prisoner. lt wasn't until L945, four years after he was reported missing that the Australian Air Board contacted the family that Colin was the navigator of a RAF Catalina which Japanese fighters shot down in the Gulf of Siam in L941. He was deeply missed by his sister"s Eunice and Nancy their entire lives. I am honoured to share this commemoration with Eunice's daughter, Bronwen and Nancy's son Hugh and their families.